Before the invention of the internet, stock traders/investors used to rely heavily on their stock brokers to check the prices. For those of you who are old enough, you might remember the good old teletext. Commissions those days used to be quite high and being a remisier can be a lucrative career. After the start of online trading and a first wave of reduction, commissions have dropped to the typical 0.4% (min $40) for phone trades and 0.275% (min $25) for online trades. Every client will be tagged to a remisier and the brokers still earn commissions for trades that are placed electronically without much work on their part. The stock broking firms are happy to let the remisiers earn this commission as they are liable for any losses that investors fail to pay. They are there to be the guarantor of the traders. We are now seeing the second wave of reduction in stock trading commissions. In recent years, some firms have started offering cash upfront accounts. For these accounts, clients are required to fully fund an account with cash before they can place an order (online). For such accounts, the role of the remisiers become further diminished and their share of the commissions have been reduced even further. 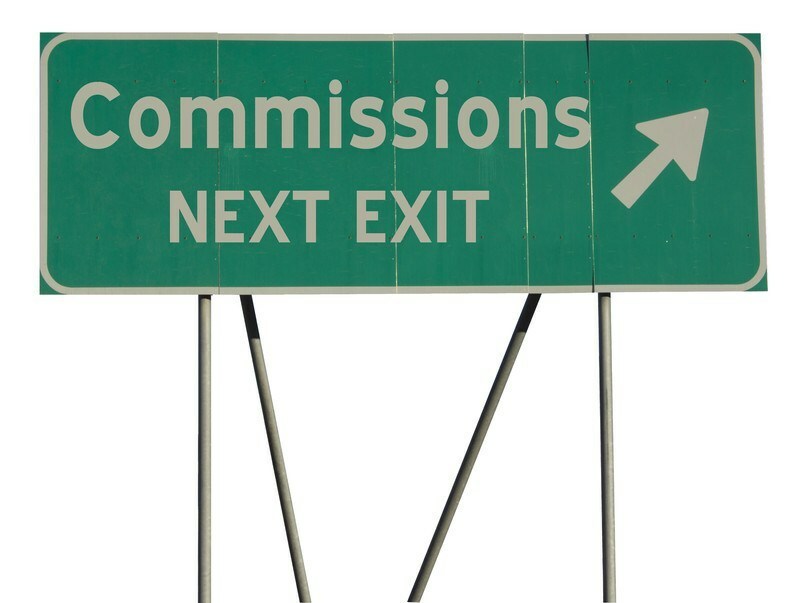 This second wave of consolidation has seen commissions drop to 0.18% (min $18) or even 0.12% (min $12). Before you happily switch to using such cash upfront accounts, please read the T&C of the company you plan to use. There are some nuances you need to take note of. For most of these firms, your shares will not be held in CDP but held in the custody of the stock broking firm. This is probably fine if you plan to do short term trading but long term holdings might be disadvantaged from the additional costs of regular admin and/or dividend handling fees. Also, you might lose your rights as a voting shareholder if you plan to visit the AGM. Corporate actions like rights issue might also be handled slightly differently. Some of the firms require you to have a bank account (owned by same entity) before you can pre-fund your account. For example, DBS with DBS Vickers and CIMB Bank with CIMB Securities. The cash upfront trades for the DBS-DBS Vickers are placed through the DBS online banking website and not the DBS Vickers portal. The user interface is poor and if you require speed, it might not serve your needs. The birth of the internet and smart phones has seen the rise and fall of many industries and companies. With the move towards lot sizes of 100 shares and a reduction in the settlement time from the current T+3, I foresee stock commissions to be going even lower in the future. There is a possibility of remisiers becoming fully redundant unless they can revamp their current business model. We also see similar pressures in the local insurance industry; from the online portals for buying general insurance to the new channel for consumers to buy life insurance without paying commissions. Companies which do not innovate and continue to do business like they do in the pre-internet days risk being becoming completely irrelevant. What the Heck !!! Why should shares be held in the custody of the broking firm? After all the investor has put up the full amt of cash reqd to purchase a stock in advance. The investor may not even get the stock in his first day, in which case the stock broking firm gets to keep his money (and accrued interest) for another day. In fact, the investor should have more rights to the stock, compared with other investors who settle payment for their purchase up to 3 days later. I think you got confused between Cash Upfront and Cash Collateralized trading (CCT). I have a DBS Cash upfront account and my shares are credit to CDP after the settlement period. I’m also opening a CCT account with another broker for the 0.12% brokerage fee and in this case, the brokerage holds the stock and it is not reflected in the CDP. CCT model is very similar to how US brokerages operate. I used the term cash upfront loosely to refer to all trades that require cash before an order can be executed as the stock broking firms all uses different terms. For example, POEMS uses the term Phillip Cash Prepaid Account but it’s what you would call a CCT. DBS Vickers calls theirs a cash upfront account and your holdings are held in CDP. UOB Kay Hian uses the advertising term of “Enjoy the lowest cash-upfront commission rate of” but they actually use CCT. SCB just calls their platform “online equity trading” but they also use the CCT model. CIMB calls theirs “Cash upfront trading” and your holdings are held in CDP. I urge all my readers to read the T&C carefully to find out whether their stocks are held in CDP or with the stock broker. OCBC is worse. They need cash upfront with 0.18% and still keep your shares in their sub account, not client’s CDP account.